Driftwood shelf. Shabby Chic, Rustic, Handmade. Driftwood shelf Shabby Chic, Rustic, Handmade. Driftwood shelf cute little Shabby Chic, Rustic, Handmade. Custom Side Table - High Grade Birch BB Plywood. Driftwood shelf Piece of art Shabby Chic, Rustic, Handmade. Be great for places where space is limited such as flats, bedsits and student accommodation. 1 x wooden shoes rack. 1 x assembly instructions. 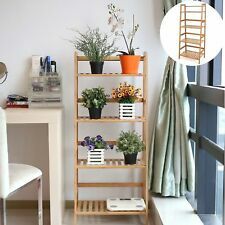 Description: This Homfa bamboo ladder four-shelf bookcase combines style and functionality to create a modern home furnishing ideal for use in living room, kitchen, bedroom or any other space to display and store items, with primary color, attractive and simple appearance, this bookcase will well match with your furniture in your home. Features:. 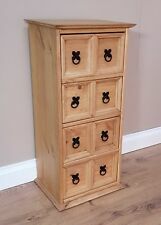 We’re selling a 5x5 IKEA Expedit Shelving Unit - Beech.Good used condition. Unit comes with Four Box Inserts 2 x white and 2 x grey. These inserts are made into boxes with doors and slide into the Expedit shelf openings. Happy to dissemble the shelves before collection, or take them apart with the buyer so they understand how to put it back together again. Collection only - from near Clapham Junction. The shelf is easy to assemble. Load capacity: 3 kg (each shelf). Easy to assemble. Used. Two Piece Display Unit. Good Condition. Used. Two Piece Display Unit. Good Condition.. Condition is Used. Collection in person only. Not only is this product perfect for covering your radiator, but it looks superb with its traditional cross grill pattern design. With rounded edges, this cover features a very useful shelf on the top and includes wall mounting brackets. Marks and spencer ladder shelving unit - natural. Height: 190 cm. Height In: 75 in. Moved into a smaller flat needing to make room urgently. Weight: 13 kg. Depth In: 16 in. Here for sale are three cloud shelves. Heavy, solid pine. Shabby chic, country style with deliberate distressed and rustic paint effect. Painted in distressed Cocoa (mink/grey/taupe) chalk paint with gold accents. Finished with dark wax for extra durability. Has a plate groove on shelves. This shelving unit can be placed on the top of a sideboard, set of drawers etc. It has a flat bottom and will be perfectly fine to do that. Alternatively it can be mounted on a wall. 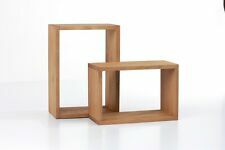 These natural wood wall cubes are made from finger jointed cedar wood that has been sanded for a smooth, natural finish. All cedar wood used to create the wall cubes has been taken from sustainable timber forests in Southern Brazil. This sturdy wall mounted double shelf unit is an ideal and useful storage solution for the Kitchen, Bathroom, Cloakroom, Office, Bedroom or Utility Room. Wall hanger on back. Depth of shelf 5 cm. 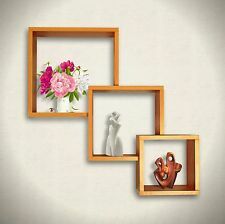 Solid wood wall shelf square cube box floating shelves shelving wooden storage modern unit. 2 wood shelf bracket. 1 Possible invitation to HANDMADE club. Clean with damp clioth and wipe dry with a clean cloth. VidaXL Ladder Wall Shelf Cedar Wood 41.5x30x176 cm. Made of solid cedar wood, the planter rack is highly durable. Material: Cedar Wood. Garden & Patio. This display unit is easy to assemble. Load capacity: 3 kg (each shelf).